Gillian Leak started her career in 1978 with the Forensic Science Service (FSS), rising up the ranks to become a crime scene attending senior reporting officer. She is an internationally recognized expert in the field of blood pattern analysis (BPA) and was formerly the FSS National Scientific Lead for the discipline. She became the lead trainer for BPA, designing BPA training courses ranging from awareness level courses more appropriate for scene of crime officers, police and pathologists up to specialised courses aimed at developing forensic scientists tasked with dealing with both laboratory and scene based examinations. She has presented and delivered workshops on the discipline at various National, European and International conferences. These include conferences held by the International Association of Blood Pattern Analysis (IABPA), The Forensic Science Society and The Mediterranean Academy of Forensic Science. She has also been a guest presenter at pathology and odontology related conferences related in some way to forensic investigations. More latterly she was the Principal Scientist for scenes. She has designed and delivered training courses for scene attending scientists enabling them to become competent crime scene forensic examiners. In both of these roles she had responsibility for casework, process quality, designing competency testing regimes and implemented the standards and competencies required, including the development and monitoring of Quality Management Systems against the ISO17025 standard. She has provided National and International independent reviews on complex BPA crime scenes, testifying many hundreds of times at Magistrates, Crown, Coroners and Appeal courts as well as testifying abroad. Her international work has included homicide investigations from Iceland, Italy and Holland. She has been a member of the IABPA since 2004 and sits as a member of its ethics subcommittee. She is also a member of the FBI Scientific Working group for blood pattern analysis (SWGSTAIN) serving on the training and education subcommittee. Gillian was also registered with the council of Registered Practitioners (CRFP) before its demise in 2009. In recognition of her work she has received a variety of commendations and letters of appreciation from both Judges and senior investigation officers. 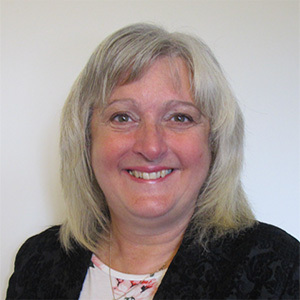 Following the demise of the FSS in 2012, she is the Director of Gillian Leak – Principal Forensics Ltd and a Co-Director of Principal Forensic Services Ltd.